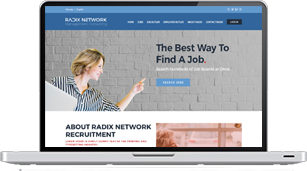 RadixNetwork Recruitment offers mainly IT, SAP recruitment and Executive Search. Beside the traditional recruiting service based on success (contingency search) and contracted (retained search) head hunting Radix Network developed a new concept, the Employer Butler, a mix of recruitment on success and mandate service and for candidates the Job Butler, your private job hunting service. On retained recruitment (contracted) we are the exclusive recruiting agency for a particular IT, SAP, Executive Search vacancy and charge our client based on our negotiated fee. Our in-house research team is searching for best possible candidates in our candidate database, social media channels and we directly approach possible candidates. We publish job ads, screen and interview applicants before submitting our candidate long list, short list to our client. We assist our client with the interview coordination and organization. Our job is done when the best possible candidate singed the employment contract. Our job is done when the best possible candidate singed the employment contract. Employer Butler is our innovative service for companies that do not want to invest as much budget as on our contracted candidate search, but want to receive the benefits of a dedicated candidate search. Our service is similar as on contracted recruitment, just without exclusivity and without external job ads. We are able to offer this service with a small sign-up fee and based on our success a percentage of the annual salary. Job Butler is our innovative service for candidates looking for a new opportunity let us know their job wish list and we send vacancies matching the criteria. Only after the candidate is interested in a specific job we submit the resume to the company. We never release, in any situation, any data or information to any company or third party without the direct approval from our candidates. We dig deep into our network and contacts to find best matching job opportunities for you. Review our screened job vacancies and decide what is most interesting for you Let us know and we place your application into the right hands. Make a good impression and get ready for your new job. What is the recipe for success..
To my mind there are just four essential ingredients: Choose a career you love, give it the best there is in you, seize your opportunities, and be a member of the team..
Do you love your job..